Even if you’re hydrophobic, with the spirit of summer, Kendall and Kylie Jenner’s swimsuit collection is about to tame down that anxiety. The two sisters have teamed up once again to release an ultra chic swimsuit capsule at Revolve — an online marketplace for most-coveted wardrobe items. 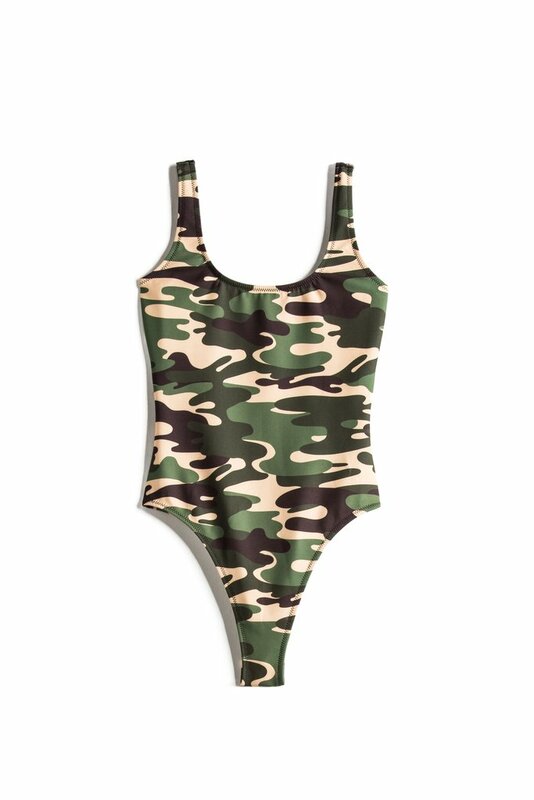 The collection, mixed with a range of bold colors and camo prints includes ’90s-style bralette bikinis, high-waisted bottoms, and one-piece swimsuits. And there are retailing between $45 to $165. If you’re looking to update your swimwear closet and not-so-concern about the price, this is the collection girls will be showing off on Instagram and we’re not sure how long it will remain for purchase. Scroll down to have a look at a few images and enter Rovlve to shop for yourself.